BARCELONA, Spain – For all the astonishing feats in his young career, Lionel Messi had never scored five goals in a professional game. And no one had scored five times in a Champions League match. Well, check both of those off. With another mesmerizing performance, Messi helped defending champion Barcelona crush Bayer Leverkusen 7-1 Wednesday night to advance to the quarterfinals with a 10-2 aggregate win. The three-time FIFA player of the year scored in the 25th, 42nd and 49th minutes for a 3-0 lead and his 17th career hat trick for Barcelona, then added goals in the 58th and 84th minutes for the first five-goal game of his professional career. The last time a player scored five goals in European soccer’s top club competition had been when Ajax’s Soren Lerby did it against Omonia in the old Champion Clubs’ Cup in 1979-80. Messi also became the first player to score at least four goals twice in the Champions League – he had four against Arsenal two years ago. 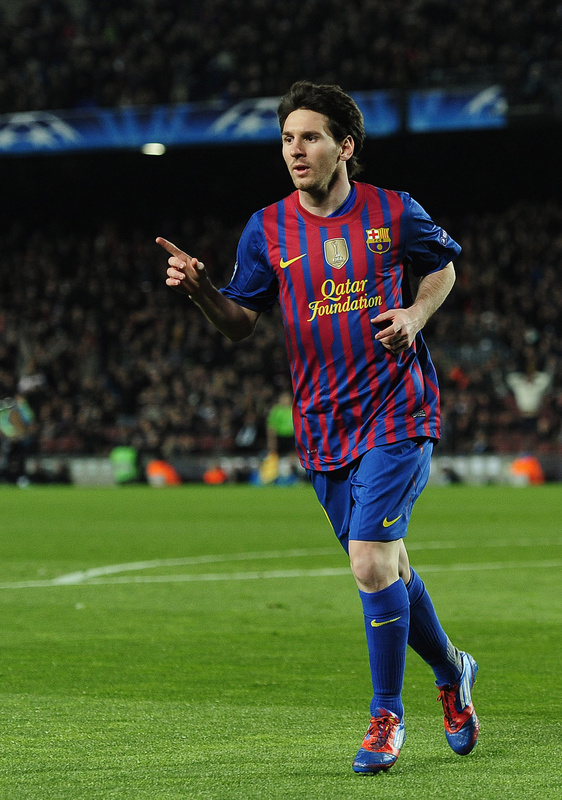 “I can’t remember the last time I scored five goals, so I’m very happy,” Messi said.